Luke Goss is an English singer and actor. 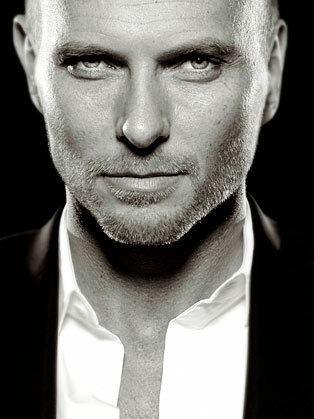 Through his career Luke Goss’s versatility has earned him a solid reputation in the entertainment industry with this roles in music, music theatre and the world of film. Luke Goss was born in London and alongside his twin brother Matt, he started his career with the hugely successful 1980s pop band Bros. Bros received the Brit Award for British Breakthrough Act and spanning five successful years and two world tours, they charted thirteen hit singles in the UK. When Bros broke up in the early 1990’s Luke formed the band, Band of Thieves, producing four singles. In 1996 he took on the lead role of Jeff in the musical play “Plan 9 From Outer Space”, since then he has acted in films “Two Days, Nine Lives” and the British Gangster Film “Charlie” to name a few. He has won numerous awards including the CAMIE (Character and Mortality in Entertainment) Award for his work in One Night with the King, he was also presented with the Star of Tomorrow Award by the Motion Picture Club for his role in Hellboy II: The Golden Army and he won the Ultimate Badass Award at the PollyGrind Film Festival. In 2009, Luke launched his own production company, G Productions.